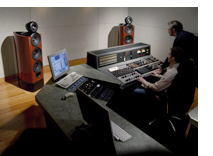 While today KEF produce loudspeakers for purely for domestic use, the famed Reference Series is still regarded by many professionals as the closest reproduction of the natural sound available and it is still very common to find today’s Reference Series being used as studio monitors in professional applications. To showcase the extraordinary acoustic capabilities of the new Reference Series, KEF commissioned the award-winning classical music label Octavia Records. 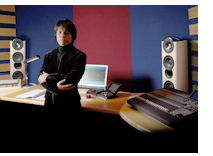 Legendary engineer/producer Tomoyoshi Ezaki of Octavia’s Exton division duly remastered a breathtaking five-channel SACD recording of the Bach Toccata and Fugue in D. For Mr Ezaki, “It reveals the dynamics and intense musicality of the new Reference Series. The lack of distortion is phenomenal - the illusion of presence is uncanny”. Trutone Mastering Labs is one of the world’s top music mastering studios, whose artists range from James Brown and Whitney Houston to Stephen Sondheim, Cyndi Lauper and The Killers. The quality and accuracy of their audio monitors is crucial – and after comparative tests they concluded that Reference Model 207 reproduced the most faithful sound. For mastering engineer Carl Rowati, “Sound quality is our business, so our audio systems have to perform equally well across every type of music from hip hop to classical. Only Reference sounded really great with every genre. They’re incredibly accurate, and there's nothing they can't handle. When you’re perfecting digital soundtracks for movies like Star Wars, Superman and Gladiator, only the best technology will do. 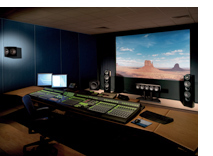 And for Anvil, the UK-based feature film audio post-production division of Technicolor, that means specifying KEF Reference for their mixing studios and dubbing theatres. "Anvil has always sought to push the envelope," says Technicolor’s Rupert Scrivener, “and we’ve found nothing that reproduces recorded sound as naturally as the new Reference Series".